The first post for this blog deserves to be about the locomotive featured in the @theWEBtrain header above. 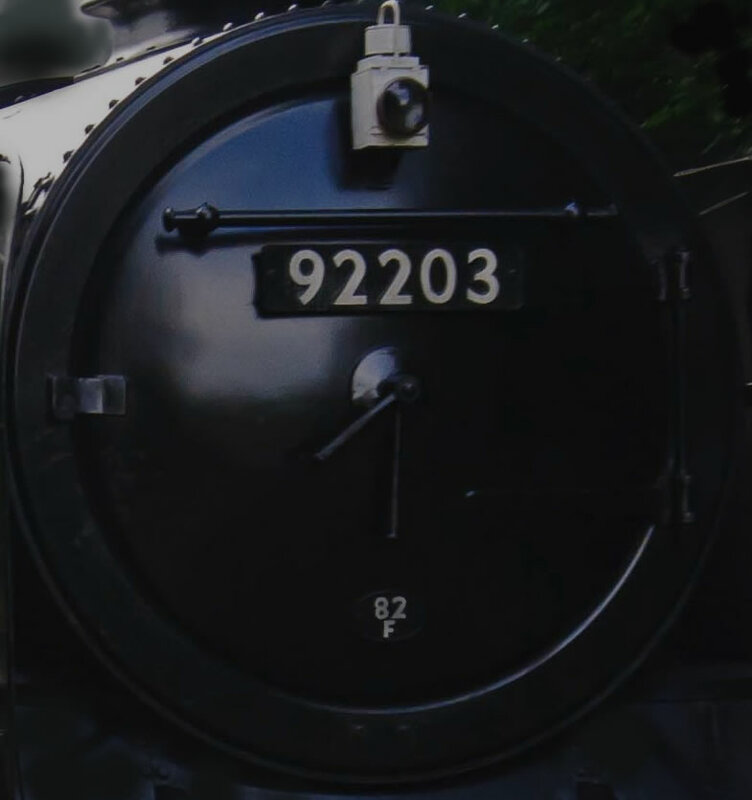 92203 Black Prince was one of nine class 9F 2-10-0 steam locomotives (out of a total of 251) that were saved from the breakers yard when British Railways (BR) decided to cull all its steam power in the mid-1960s, in favour of diesel and electric traction. From 1951, BR built steam locomotives using its own standardised designs (overseen by Robert Riddles) and the BR Standard Class 9F 2-10-0 was the last in the series of the Standard classes. The class was designed at both Derby and Brighton Works in 1951 for use on fast, long distance heavy freight trains and was one of the most powerful locomotive types to be built in Britain; it was also one of the most successful, with 9Fs often seen hauling passenger services. The original design proposal was to adapt a boiler to a 2-8-2 wheel arrangement chassis but Riddles instead chose to adopt a 2-10-0 arrangement, because he had successfully used it on some of his previous WD Austerity locomotives.